The world is his oyster – When visiting the exquisite Ile de Ré in the Charente-Maritime, often referred to as “The Hamptons of France”, we visited one of the best known oyster farms run by the husband and wife team of Brigitte and Tony Berthelet in Ars-en-Ré. Production of oysters is part of the island’s maritime heritage beginning in around 1860 and replacing the declining trade of salt mining, once so popular on the island. Today, the Ile de Ré produces around 6-8 thousand tons of oysters per year. The French generally eat around 130,000 tons of oysters per annum! Tony tells us that his generation is the first to concentrate purely on one product. In the past, farmers like him would have diversified into vineyards, potatoes and oysters.Tony’s oysters are allowed to mature peacefully, are carefully tended and aren’t harvested until they are quite large – several years old in fact. It’s all about the washing he says … and the grading. As he’s situated just 50 m from the ocean, he won’t run out of his key ingredient any time soon. 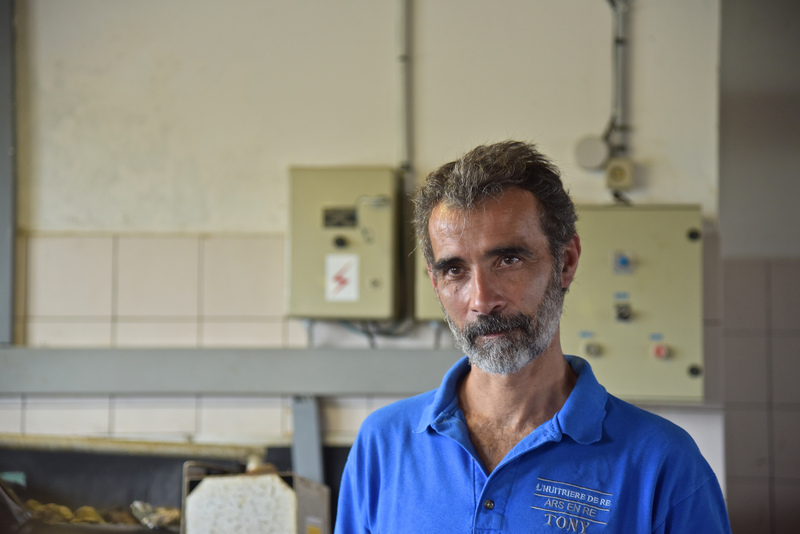 Tony runs an oyster museum alongside his workplace, re-telling the story of oysters in this part of France. Tales of oyster diseases and the introduction of new types of oyster resistant to pestilence come think and fast. Strange historic farming implements abound in the museum, salvaged to bring the story of the oyster to life and it works – over 7,000 visitors a year come to see the museum. Charente-Maritime is a client of Magellan PR. For further information, contact Gillian Green (gillian@magellan-pr.com) +44 (0) 7515 283 287 or Alexandra Pinhorn (alexandra@magellan-pr.com) +44 (0) 7515 283 040.